Book the best wedding photography in Boca Raton. Hire the top wedding photographers in Boca Raton. Couples getting married in Boca Raton hire the best wedding photographer for wedding photography in Boca Raton. Couture Bridal Photography is the premiere wedding photography studio throughout Boca Raton. Brides and grooms choose us as the most trusted wedding professionals in Palm Beach County Florida. Brides planning their weddings in most of Boca Raton's venues select Couture Bridal Photography for the best wedding photography, best wedding photography pricing, artistic story telling photos and spectacular wedding portraits. No other photography studio in Boca Raton offers the skill, experience and artistry of Boca Ratons top rated international master wedding photographer Alfredo Valentine. Couture Bridal Photography has the most distinct and artistic wedding photography style in Boca Raton. Couples getting married in Boca Raton choose us for the most authentic photography style couples throughout South Florida and Palm Beach Florida love most. Our style of bridal photography is a combination of several styles including photojournalism, editorial, contemporary, illustrative, fashion and glamour that creates the most unique yet comprehensively detailed documentation of a couples wedding day. As internationally recognized award winning wedding photographers, Couture Bridal Photography is known for the most elegant, romantic and timeless wedding photos that garner awards worldwide. As the top rated professional photography studio most chosen to photograph weddings in Boca Raton, we are often the wedding photo style trendsetters for south Florida. The price of wedding photography varies based on the photographers experience, style, ability and popularity. Most professional photographers who photograph weddings in Boca Raton can be quite expensive. Wedding photography for high-end weddings in Boca Raton can range in price from $1,800 to well over $15,000. Couples who choose Couture Bridal Photography for their wedding photography coverage in Boca Raton, find we offer the best priced wedding photography coverage in Boca raton and surrounding south Florida. With professional photography coverage starting at $2,200 for 6 hours of photography, we are the best bargain for high end award winning wedding photography in Boca Raton. The price of wedding photography is based on amount of guests, bridal party size, how many different locations, and most important how many hours of photography coverage is needed. Most couples getting married in Boca Raton only require 6-8 hours of complete wedding day photo coverage to receive the best wedding photography on their Boca Raton wedding day. Boca Raton is one of the most popular cities for couples throughout South Florida and the world to host their wedding. Getting married in Boca Raton, couples have many types of wedding venues to choose from. Couples can get married along Boca Raton's coastline or out in western Boca Raton at a wide variety of golf clubs and country clubs. 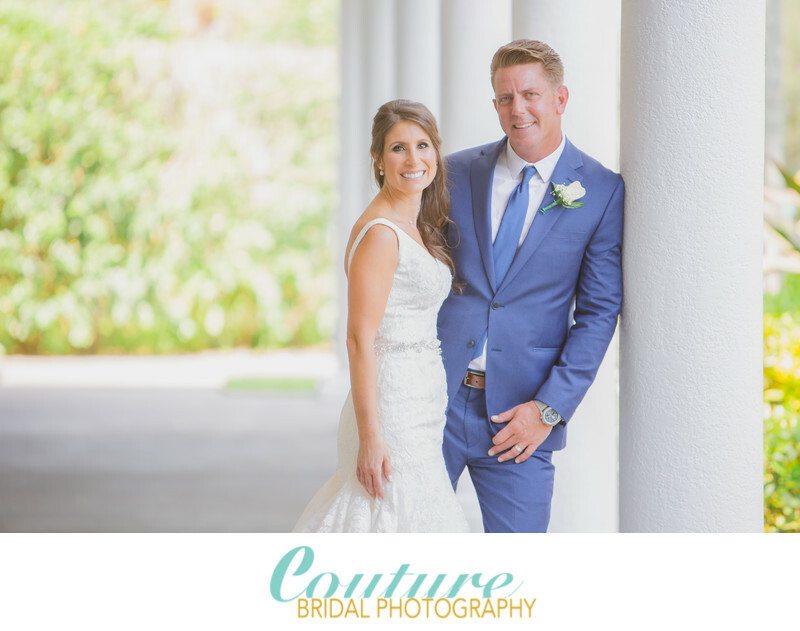 Couples planning their wedding in Boca Raton can be confident that Couture Bridal Photography is the most welcomed, trusted and preferred wedding photography vendor at any of Boca Ratons wedding venues. Couture Bridal Photography is fully insured and meets the requirements of professionalism and service to provide exception wedding photography at any venue in Boca Raton and South Florida. Couture Bridal Photography is the most preferred, recommended and trusted professional photography providers at most venues popular with couples getting married throughout Boca Raton and Palm Beach County Florida. Couture Bridal Photography has been the most prominent Boca Raton and South Florida wedding photography studio since 2008. As one of the top rated wedding photography studios in Florida, we have had the privilege of photographing numerous weddings at many, if not all of Boca Raton Florida preferred and popular wedding venues. We are fully insured to and exceed the requirements for general liability insurance required for wedding vendors at all of Boca Raton's venues. Here is a list of some of out favorite Boca Raton Wedding venues! Couples choosing any of the previous venues in Boca Raton previously listed choose Couture Bridal Photography, as the best wedding photography studio serving all of Boca Raton with the most amazing story telling wedding photography. Couture Bridal Photography should be booked immediately after booking your Boca Raton wedding venue and ceremony location. We typically begin booking wedding 12-18 months in advance of weddings for upcoming calendar years. Brides and grooms searching for the very best photography at their Boca Raton wedding will typically contact us with their planned wedding date and secure a tentative date for contracting our photography services. Boca Raton and South Florida couples planning destination weddings around the world consider us the most preferred destination wedding photography studio for destination wedding photography. We offer the biggest savings and best bargains on destination photography anywhere worldwide. As the most professional award winning wedding photographers in Boca Raton, we have traveled throughout the United States, Mexico, South America, the Caribbean, Europe and the South Pacific photographing couple destination weddings with the most sought after photography style in the United States. Brides and grooms choosing us as their destination wedding photographers receive phenomenal wedding photo coverage with additional added value services that make us the best Boca Raton wedding photographers for the most elegant, romantic and timeless destination wedding photography worldwide. 1/100; f/2.8; ISO 100; 180.0 mm.